Pendants for Men There are 6 products. 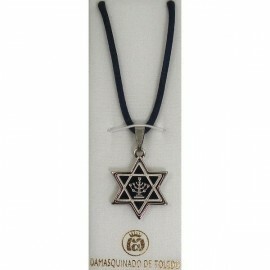 Damascene Silver Menorah Star of David Pendant. Damascene Jewelry by Midas of Toledo Spain. Religious Judaic jewelry. Symbol of menorah. 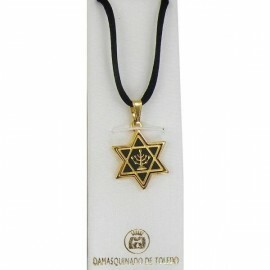 Damascene Gold "Second" Star of David Pendant. Damascene Jewelry by Midas of Toledo Spain. 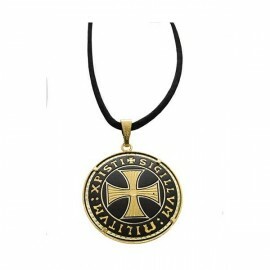 Religious Judaic jewelry. Golden Necklace. 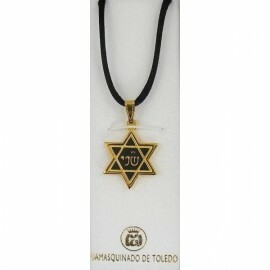 Damascene Gold Menorah Star of David Pendant. 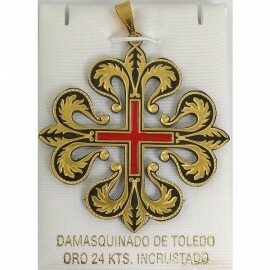 Damascene Jewelry by Midas of Toledo Spain. Religious Judaic jewelry. Golden Necklace. 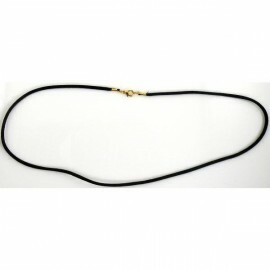 Black Cord Necklace Damascene Jewelry by Midas of Toledo Spain.